FIBOUS:-The Future of Fit is here. And, Orlando is hosting this inaugural event, uniting health + wellness professionals and enthusiasts eager to experience the latest trends pushing the fast-paced business of fitness ahead. You won’t find any other events that encompass the entire fitness industry in the Southeast, but the area is home to hundreds of fitness studios and gyms-not to mention the country’s top theme parks, golf courses, resorts and more, making Orlando the ideal destination for the U.S. launch of #FIBOUS. 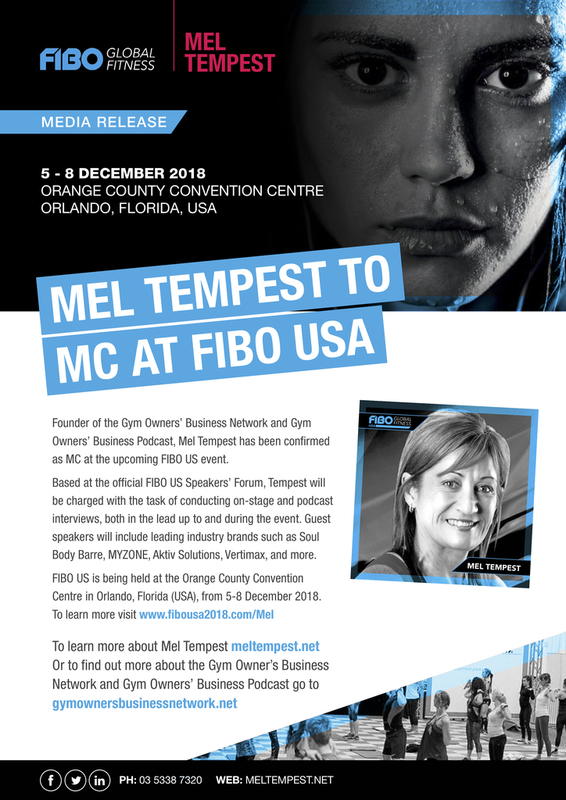 Based at the official FIBO US Speakers’ Forum, Mel Tempest will be charged with the task of conducting on-stage and podcast interviews, both in the lead up to and during the event. Guest speakers will include leading industry brands such as Soul Body Barre, MYZONE, Aktiv Solutions, Vertimax, and more.